When it comes to choosing from the many different powerlifting programs and powerbuilding programs available, there are countless opinions and everyone will likely have a different take on which is best. While it is true that many powerlifting workouts and powerbuilding routines will get you some results, not all of them are optimal–not even close. Choosing the correct plan for your specific training age and abilities will not only maximize your progress, but keep you injury free and save you from wasting time using techniques that aren’t optimal. The 26 programs listed here are all fully-vetted, industry-leading plans that are tried and tested by thousands of lifters from around the world. If it’s not listed here, it’s for a reason. Note: every powerlifting program and powerbuilding program below includes an excel spreadsheet and pdf that is free to download. Simply click on the program you want (and navigate to its page), download the excel sheet near the top, enter your maxes, and track your results! Each powerlifting program below includes a quick description to give you a rundown of the options available to you. Additionally, they are divided into six different categories for an easier way of sorting through them depending on your lifting experience and goals. Just keep in mind that some fall into more than one category so you may want to read through all of the plans to find which is best for you. As mentioned above, each routine comes with a free-to-download excel spreadsheet and PDF that will personalize each plan to your specific needs regarding what weights to use. Powerlifting for beginners can seem daunting and confusing, but these plans will cut through the chaos and give you a solid grasp of how to get started. Specifically designed for those just starting out, they will maximize your progress and results without getting you injured or wasting your time using techniques that are useless to beginners. Developed by Mark Rippetoe, the Starting Strength Routine is the quintessential strength-training program designed for beginners entering the world of strength training and muscle. A coach and athlete for over 40 years, it is the perfect choice for anyone who has never followed a strength-training plan before. Developed by the controversial fitness personality Jason Blaha, the Ice Cream Fitness (ICF) program is a 5 by 5 workout focused around building strength and muscle for novice lifters. While it is recommended that a true beginner start with the Starting Strength routine, Jason’s ICF plan includes more accessory exercises to provide additional volume that will promote more hypertrophy (muscle gains). Arguably the most-advanced of the beginner routines, John Shaeffer’s Greyskull LP takes it one step further than ICF by including AMRAP sets. This stands for “as many repetitions as possible” and is a technique used to provide extreme overload in a controlled manner. By including AMRAP sets, beginners are able to absolutely maximize their results each and every week. Furthermore, it includes different “plugins” that allow you to customize the program to your specific needs. Lastly, the high level of volume makes it a great powerbuilding program as well by optimizing hypertrophy. Jonnie Candito, an extremely successful and prolific powerlifter in the 74kg and 83kg powerlifting weight classes, developed a wide range of programs under his Jonnie Candito Training brand. He is probably most famous for his concept of utilizing maximum recoverable volume in the most optimal way: through focusing only on compound and secondary exercises that produce the most results. He has several different plans including beginners, intermediate, advanced, and lift-specific routines that are all based on scientific principles and are highly effective. Across the web you will commonly find the same metric used to “determine” whether a lifter is intermediate or not: a training age of 6 to 24 months. While this is a decent and simple baseline to go off of, it misses the point entirely. Each individual has a different starting point, and more importantly different genetics. While you may be classified as an intermediate in 6 months, the same will not be true for others. So what is the true way to determine if you aren’t a beginner anymore? Once you are unable to continue adding weight each workout. Once you get to a point where it’s taking you several workouts to increase the weight you lift on squats, bench press, and deadlifts it’s time to move on to an intermediate program. Congratulations! You’re no longer a novice lifter. Perfect for beginners transitioning into the intermediate stage, Jim Wendler’s 5/3/1 Workout Program delivers results through the use of a powerful periodization technique now found in countless other knockoff plans. Alternating between sets of 5 reps, 3 reps, and 1 rep, the plan forces the body to adapt to a wide range of repetitions. This maximizes strength while keeping progress consistent. Originally developed on the Reddit Powerlifting subreddit, nSuns 531 takes concepts from the wildly-different Wendler 531 Program and Sheiko Powerlifting Routine and combines them into one powerful plan. Utilizing high volume and a weekly progression schedule, nSuns 531 is another plan perfect for “advanced novice” lifters making the switch to an intermediate plan. But make no mistake, it is still highly-effective for more seasoned intermediate lifters. Mark Rippetoe, creator of the legendary Starting Strength plan for beginners, developed the Texas Training Method for lifters no longer experiencing “noob gains”–the rapid results seen when a novice is able to add more weight each and every workout. To do this, it incorporates a dynamic system of three different workouts each week: a high intensity day, a high volume day, and an active recovery day. The Madcow 5×5 Workout Program is an advanced take on the well-known Stronglifts 5×5 plan that incorporates more accessory exercises for muscle mass and utilizes more complex strength-building techniques. What makes this plan so powerful is the inclusion of pyramid technique where the weight is increased each set until the last set where lifters push themselves for a new personal best. Taking the spot as Physiqz’ most downloaded and used plan, the 8 week powerlifting routine uses multiple strength-training concepts based on scientific principles. It can be used by anyone who is an intermediate or advanced lifter for rapid results. But beware that it is highly taxing and requires a solid powerlifting meal plan and diet to recover and maximize results. Developed from the legendary 8-week program created for the Army Powerlifting team that’s now been used by thousands of lifters, the 6 week powerlifting program utilizes undulating periodization and works each compound lift twice per week. With only one rest day making it a true 6 day workout routine, it is only recommended for high-level intermediates or advanced lifters. Once you have stopped making results with the intermediate routines above, you are time to move on to a truly advanced powerlifting program. This typically means you have been training for at least four or five years consistently. The plans utilize extremely advanced periodization techniques with an intense level of volume. Truly, only the boldest and most advanced of lifters are able to complete and benefit from these plans. Created by world-record holder Chad Wesley Smith, the Juggernaut Method is intended for elite strength athletes and is an adaptation of the 5/3/1 workout that includes training techniques used by Doug Young, a legendary powerlifter of the 1970s. Using progressive overload based on scientific studies, the program centers around 4 distinct phases. Each phase lasts for a period of one month, making it a 16-week plan that can be repeatedly indefinitely. Boris Sheiko, the legendary Russian powerlifting training coach, created the Sheiko Program around extremely high frequency. By completing each lift multiple times each week, lifters gain high levels of neuromuscular coordination translating to extreme gains in strength in a short period of time. Due to the insane levels of frequency, it is only intended for extremely elite lifters (though he does have versions of the plan for beginners and intermediates as well). An advanced spin-off of the famous nSuns 531 plan, nSuns CAP3 utilizes cyclical AMRAP progression to supercharge results for seasoned lifters who can handle and benefit from the intense volume. Gaining popularity in recent years, powerbuilding programs are designed to build strength and muscle mass. By building workouts around the compound lifts, and including a large amount of volume on accessory lifts, you get the best of both worlds. 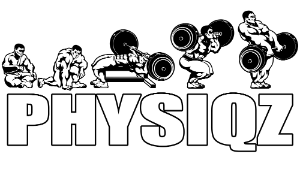 In essence they are hybrid powerlifting-bodybuilding routines. Beyond that, many consider powerbuilding routines to actually provide more strength and size results than a powerlifting and bodybuilding program alone. It’s hard to argue when legendary, world-record-setting lifters like Russel Orhii, Ben Pollack (phdeadlift), and Layne Norton refuse to use anything else (and have physiques of intense muscle mass normally only found on bodybuilders). Lastly, know that your powerlifting diet needs to be spot on to take advantage of the intense muscle-building results. With that said, these are not recommended for weight loss during a cut. This powerlifting hypertrophy program developed by the Physiqz team takes the top ranking for powerbuilding routines. And it’s easy to see why if you understand the concepts of periodization and functional overreaching. It’s 4 weeks long and should be repeated after a deload week. If you aren’t sure what a deload looks like, just use the last week of the 8-week plan. Developed by the well-known lifter Brandon Campbell, PHUL Hypertrophy Training is a powerbuilding plan that focused a bit more on strength than on size. The acronym stands for Power Hypertrophy Upper Lower. While it still falls into the powerbuilding category, it is more appropriate for competitive powerlifters in the off-season who want to put on size while keeping strength as the number-one goal. Beyond that, it is a 5 day workout program making it more appropriate for some lifters’ schedule opposed to the 4-day PHAT workout listed below. Layne Norton’s PHAT workout has continued to gain in popularity since it was created over 10 years ago. Standing for Power Hypertrophy Adaptive Training, it was developed by PhD Layne Norton who is a top-level powerlifter and bodybuilder. While his credentials speak for themselves, the results from using the plan leave absolutely no doubt as to its effectiveness. Utilizing a 4-day per week system, PHAT focuses on strength training during the beginning part of the week and hypertrophy during the second part. Designed to increase strength in just one lift at a time, these plans are perfect if you need to address a weak point or simply want to put all of your effort into just one area of the body. Additionally, they can be used together to form a very powerful workout program. Simply cycle through the different plans as you complete them: bench press, then squats, then deadlifts. Arguably the best bench press program on the internet, this plan utilizes 5 core concepts to supercharge gains in strength on the bench press while also building a large about of upper-body muscle mass. While you wont be able to focus on other lifts while using this plan, this routine will increase your bench press strength rapidly. The deadlift is coined as the king of all lifts for a reason: it works almost every muscle in the body and releases large amount of anabolic (muscle-building) hormones. These deadlift workout programs are perfect choice if you are using another lift-focused plan such as the bench press program or the powerlifting squat program. But if you are simply looking to increase your deadlift or simply want to maximize your time in the gym, these plans are an excellent choice. 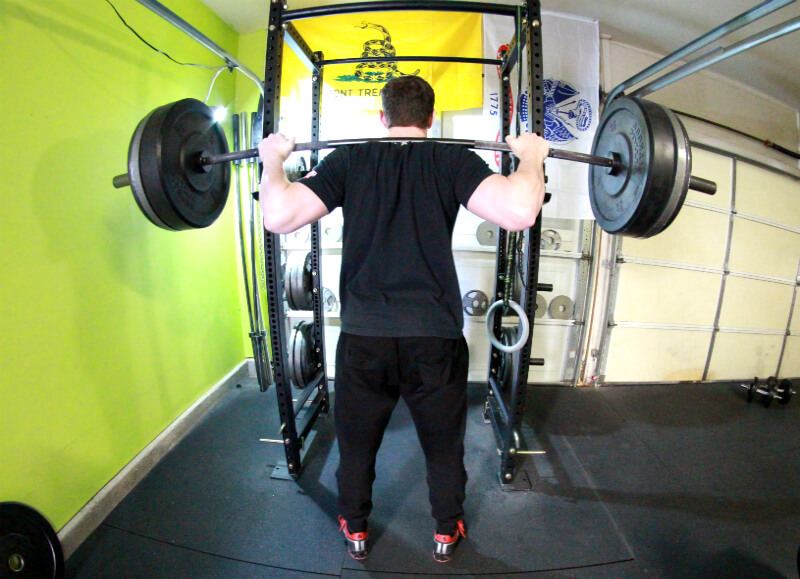 Complimenting the bench press program, and deadlift workout programs listed above, these powerlifting squat programs are focused on increasing squat strength and muscle mass in the lower body. Note that the Bulgarian Method can also be used for the bench press and (with caution) the deadlift, but is outlined here as a squat everyday plan for its insane effectiveness at increasing leg strength and size. These select plans aren’t the norm and are only recommended for peaking or for athletes looking to build high levels of strength alongside their sport-specific training. The Bulgarian Method is famous for it’s methodology: lifting every single day with no rest days. While it focuses on the squat, it can be adapted for the bench press and deadlift as well. While it may sound like overkill, a quick search on youtube will show countless lifters who used it to add literally 50+ pounds to their lifts in the course of a month. Yes, it’s that effective. But it’s extreme level of intensity means it shouldn’t be used for longer than 6 weeks–and even that is pushing it. It is also an excellent way to peak for a competition, but make sure to include at least two deload weeks before meet day (follow the last week of the 8 week plan if you don’t know how to create your own deload week). Strength training requires extreme commitment and devotion. This can be an issue for athletes who want to excel in their sport while also building strength and muscle on the side. Luckily, there is a solution. These strength routines for athletes allow players to build strength in a responsible and coordinated fashion without taking away from getting better at their sports. Any successful powerlifting routine understands the concept of adaptive resistance and progressive overload. Adaptive resistance simply refers to any stimulation that forces your body to adapt. In the case of strength training, that is lifting weights. However, you also need progressive overload; over time you have to continually increase the amount of training stress placed on your body. In simple terms, you have to lift heavier weights over time if you expect to see continued progress. To make sure these two training variables are met, programs are designed with the use of periodization. Periodization refers to the specific and systematic creation of your strength training schedule. Its goal is to produce the best results, and usually includes an emphasis towards preparing for a specific event or powerlifting meet. But even if you aren’t prepping for an upcoming meet, it is the best way to train. By cycling different training variables over a set period of time, it continually forces your body to adapt (adaptive resistance). Linear periodization: only one training factor is increased over any given time period, almost always the weight being used. Undulating periodization: inversely changing intensity and volume during a given time period. Daily undulating periodization (DUP): refers to inversely changing intensity and volume multiple times throughout a microcycle (week). In practice, an example of DUP would be 5 sets of 3 reps at 80% for squat on Monday and 5 sets of 5 reps at 75% for squat on Friday. Conjugate periodization: refers to constantly alters training stressors. This usually occurs from training cycle to training cycle as accessory lifts are changed. It can also come in the form of daily conjugate periodization where exercises are alternated—for example front squats on Monday and back squats on Friday. But this begs the question, how much variation is too much and which powerlifting program is right for me? The answer to this question will depend on several factors, but the main one is your training age. If you have been seriously strength training for less than two years, there is a high chance you fall into the novice category. But the real answer is much simpler: when linear periodization (adding more weight each week) becomes impossible, it’s time to switch to a more advanced system. In a case study published in the Journal of Strength and Conditioning Research, the examiners found that even for advanced lifters, conjugate periodization is good—in other words, they can still benefit from periodization. Furthermore, you should always use the simplest plan you can that will still allow you to see results. This will make sure you are constantly able to progress and get stronger over time. The same concept is applied to weight loss. When you first start dieting, if you make extreme changes–your body adapts and your progress stops. So instead, the correct method is to make only the required changes necessary to keep losing weight, whether that is subtracting just a bit more calories from your diet each day or doing just a bit more cardio to burn calories. Note: on top of training hard and training smart, you should be following a powerlifting diet if you expect to maximize your results and fully capitalize on your gains. In the same way, if you attempt to jump to an extreme training plan from the get-go, you will stall your progress significantly and put yourself at a very high risk for injury. If you are just getting started, a simple linear approach will work phenomenally well for you—anything else is too much for you to effectively recover from while staying injury free. You would also be wasting your efforts—if you are a novice you barely have to touch a barbell to see massive strength and muscle gains. Stick with a beginner powerlifting program. But as you see your progress begin to slow, you then switch programs. This will keep the gains coming and make sure you don’t burn out or get injured. Beyond a shadow of a doubt, long-term success in powerlifting is largely dictated by your ability to remain injury free while constantly progressing. Many people are able to progress, but they often do so in a chaotic or unplanned manner which leads to injuries or more commonly, plateaus that last for way longer than they should and kill progress almost completely. Each plan has its own in-depth review, and they are grouped in several different categories to help you better decide which is right for you at the current time. When you stop seeing consistent results, come back and select your next plan to ensure you never skip a beat.